Zoumboulakis Architects was founded in 1995 by Theodore Zoumboulakis. The firm is a full-service architecture and design practice with a project portfolio ranging from high-end retail shops, offices, residencies, private holiday houses to tourism development projects. Having completed successfully projects for international clients in Europe, our team has developed a strong expertise in handling challenging briefs in a variety of locations. Each and every project undertaken is designed and managed with care and attention safeguarding each project’s unique identity. 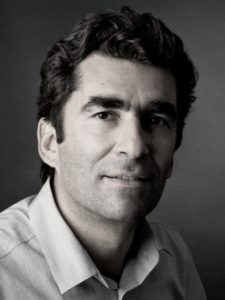 Theodore Zoumboulakis founded Zoumboulakis Architects in 1995. He studied architecture at the National Technical University of Athens (1989) and received a Master of Architecture from the University of California Los Angeles (UCLA). He commenced his professional experience at the Dagmar Richter Studio, Los Angeles whereby he worked on private projects while also participating in architectural exhibitions. Since 1991, Theodore is a collaborator of the Rena Dumas Architecture Interieure (RDAI), Paris whereby he undertakes the design and construction supervision of various Hermes boutique shops worldwide. Theodore leads the design process of all the practice’s projects. He oversees each project from initial design to completion of construction.